Hayo David and Bud Blumenthal deliver an exploratory duet on the theme of the loop. Frequent in music, literature and video, the loop creates a repetition and with it an inevitable deviation of the original message, giving rise to an new reality. 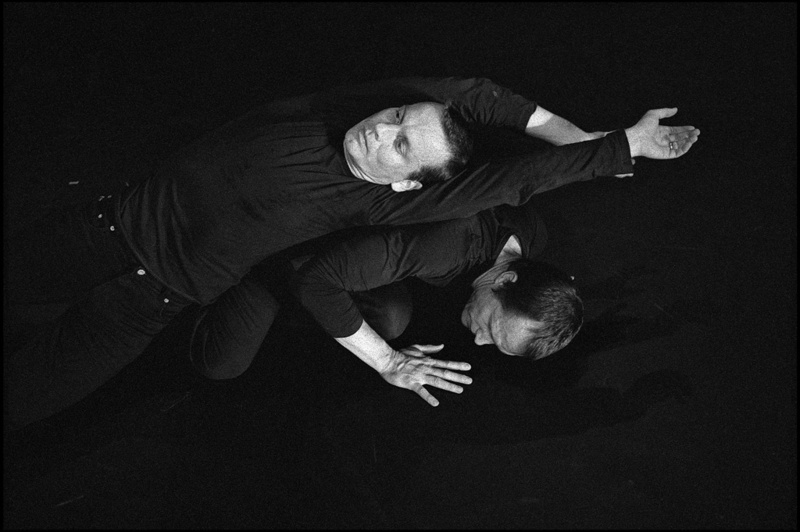 We witness the coming back together of two men who made their début together 20 years ago in a choreography by Remy Charlip (a former Merce Cunningham dancer) at a summer course at Harvard, USA and then danced together in three productions of Frédéric Flamand’s Cie Plan K (between 1988 and 1992).